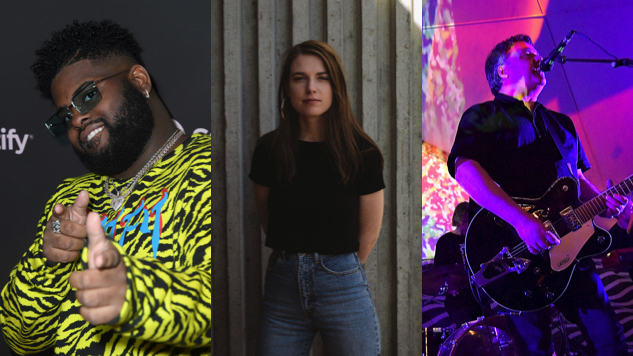 The Austin-based music and media festival South by Southwest has announced the 2019 winners of their annual Grulke Prize for emerging and inventive musical acts. The Grulke Prize consists of three categories including two Developing Act Prizes, one for U.S.-based artists and one for international, and the Career Act Prize given for the reinvention of a previously established SXSW premiere artist. The 2019 Grulke Prize winners include Philadelphia R&B artist/producer/songwriter Pink Sweat$ for Developing U.S. Act, Australian indie-rock artist Angie McMahon for Developing Non-U.S. Act and New Zealand rock band The Chills for Career Act. Previous winners of the Grulke Prize include Leon Bridges, Courtney Barnett, Haim, CHVRCHES, Jade Bird, Anderson .Paak & The Free Nationals, Iggy Pop, Todd Rundgren, Spoon and The Flaming Lips. Now in its seventh year, the award serves to honor the late creative director for SXSW, Brent Grulke. The panel of judges consist of music critics, industry professionals and SXSW staffers, many of whom can speak to Grulke’s vision and passion for music and the festival.